Discover uniqueness and search for it! 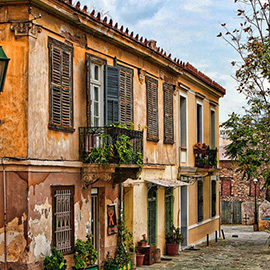 Kimon Athens Hotel is located on the edge of the Acropolis, in the picturesque neighborhood of Plaka – the oldest and the most historical district of Athens. 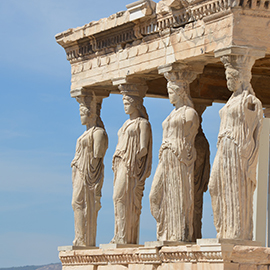 Only a few meters distance from the Parthenon, the new Acropolis Museum and the Syntagma Square, with direct access to all public transport services, Kimon Athens Hotel might be the place that “every traveler returns to” for relaxation. Choose among the 14 diversely decorated rooms and find the one that fits your needs, while enjoying your stay in a cozy and contemporary environment. At the end of an active day you can always relax with a cool drink on the roof garden that boasts mesmerizing views of the Acropolis. 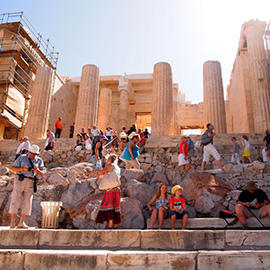 Check out the nearby Athens landmarks such as the Acropolis (Parthenon), the New Acropolis Museum, Syntagma Square (Hellenic Parliament) and many more. 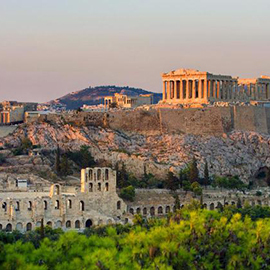 Acropolis of Athens (Parthenon): 700 m – 14 min. 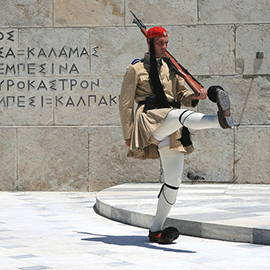 Syntagma Square (Hellenic Parliament): 600 m.
Theater of Dionysos: 800 m.
Distance of Private Parking: 10m. Syntagma Square Station- 550m – 7 min. 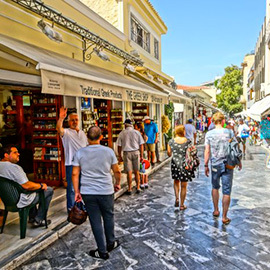 Monastiraki Station – 700m – 8 min. 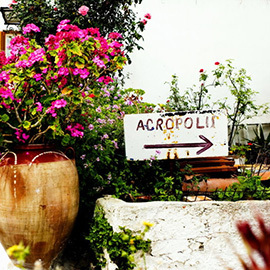 Acropolis Metro Station – 750m – 9 min. Drop time By taxi to the Airport: 30 min. Route with public transportation the Airport: 45 min. 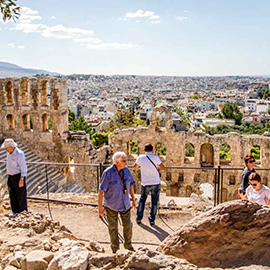 National History Museum: 450 m.
New Acropolis Museum: 750 m.
Ancient Agora of Athens: 750 m.
Enjoy your stay in the historic center of Athens & the oldest neighborhood Plaka and live a unique travelling experience.